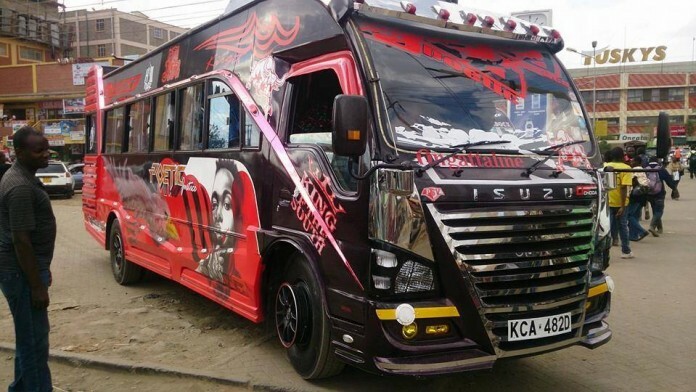 Google Maps in collaboration with Digital Matatus have made bus & matatus (minibuses/ minivans used as public transport) routes information available to the public, for free, on maps.google.co.ke. So from today, every Nairobi resident and guests of the city can plan their route with Google Maps when using public transport. This new Transit feature on Google Maps will make it quick and easy for anyone within Nairobi to find the best route for wherever they’re going, whether that’s to the local park, or across Nairobi. The official Google Africa blog says; this initiative is part of their mission to make Google Maps more comprehensive, more accurate and useful for millions of people around the world who use buses and matatus to reach the next destination. As a result of this close cooperation with Digital Matatus, Nairobi now joins the over 2800 towns and cities having this very useful and convenient feature, including Lagos, Johannesburg, Tokyo and Sydney. 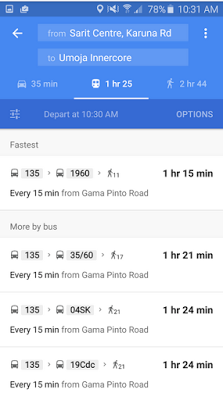 To plan a journey simply click on the ‘Get Directions’ button in Google Maps, then click the ‘public transport’ icon before entering your place of departure and destination. It then calculates the quickest way for you to get from A to B and suggest the transport that most conveniently suits your time of travel. I used it already. It’s very good and easy to use.